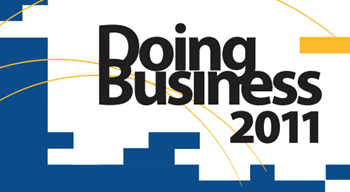 Doing Business 2011: Making a Difference for Entrepreneurs, the eighth in a series of annual reports published by IFC and the World Bank is a report to reckon with. The study conducted on the world’s economies gives ranking to countries after executing lot of calculations on various parameters on “ease of doing business”. The study is like report card for all the efforts put in by world’s economies covering the period June 2009 through May 2010. Ambassador gets an overhaul – does it really matter now? I appreciate your perspective, its painful to see development getting stalled for the sake of interests of local officials/corrupt politicians or goondas. Besides spreading awareness or at most going for RTI what else can we do? 1) Tata Nano (Singur to Gujarat) It shows how it is difficult in one place i.e. WB (I am not starting the debate of the truth about obstacles) to another place i.e. Guj. It simply shows how easy it is actually to set up business but how if some parties decide to put obstacles will drag the whole issue. 2) Posco in Orissa. This is going on for the last 5 years. I am not saying that India should make all licences at once. But the delay in giving env clearances, compensation to locals etc are mishandled both at higher level and at local level. The above two projects are high profile in nature and visible to the intl community as to what kind of a country India is. There are so many small medium projects which are stalled by local goondas. Suppose take a state govt taking up a road project. The local mafia will get the exact routes of the project even before the ministers know, thanks to the corrupt officials who draw the plans. This gives first mover advantage to the local goondas who immediately buy up the lands at throwaway prices from innocent farmers and they are not afraid of picking fight with admin regarding higher compensations some times more than 10 times their investment. Same way canal projects got stalled, road widening got stalled. Even businesses have to shell out higher prices to local goondas to make the transition smooth. Just name a project and these goondas will land at project sites in the name of real estate brokers. What I mean to say is some elements like to stiffle any activity unless they get paid. They dont care if it stalls national development. It can be govt officials (who famously revised the outer ring road project in Hyderabad 100s of times to accomodate high profile land deals) to local goondas objecting development projects or corrupt officials refusing clearances on flimsy grounds unless they get kickbacks or corrupt officals overly cooperative to certain projects coz they got their share of kickbacks. Simply put India has no scope for greenfield projects. Brownfield projects can take off with a little effort. No brick and mortar projects can pass from concept to commissioning with out harassment and delays. IT, software and services are different issues which will not be effected. The only reason why international companies are queuing in front of India is its population as a big market. Take out that advantage and no one will ever turn their face towards India. well said altaf,…. & it is @ sch a ground level,…. the other day, we poked our office boy why doesn’t he starts a roadside-stall, he being a gr8 cook…. he replies, he had tried once, but the other stalls had sent goondas who crashed his ladi (stall) . . . & since then, he didn’t dared to start one again, as they warned him that next time, they’ll kidnap his wife … ~ . . . & he, being a UP bhaiya into Pune didn’t had any sort of support nor any connections…instead the local politicians would get in more danger !